Once you have created each phase of an event (i.e. 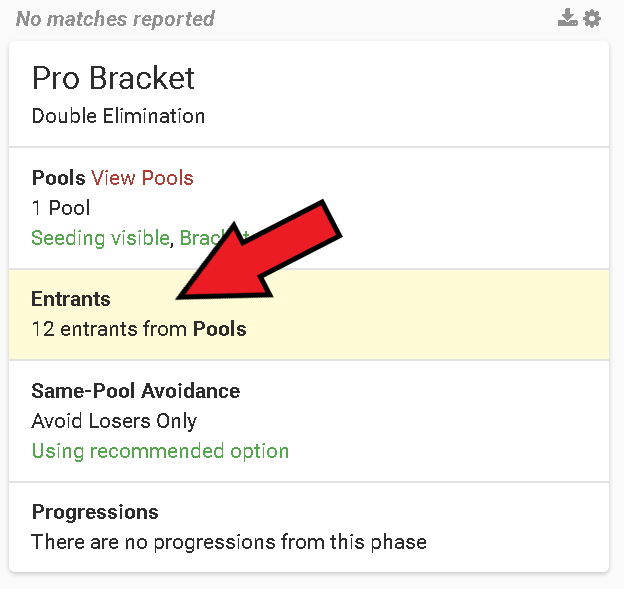 pools, Top 64) you need to set how entrants progress from one phase to the next. By default, each event starts with one phase and entrants are automatically added to that phase as they register for the event. To set the progressions into the next phase, click on Progressions, choose the Number Progressing per pool, and select the next phase from the Destination Phase drop-down. Use the arrows to reorder the seeding of the groups or the drop-down to choose between winners and losers side of the brackets. Move all groups to winners side to "reset" the bracket for this phase. 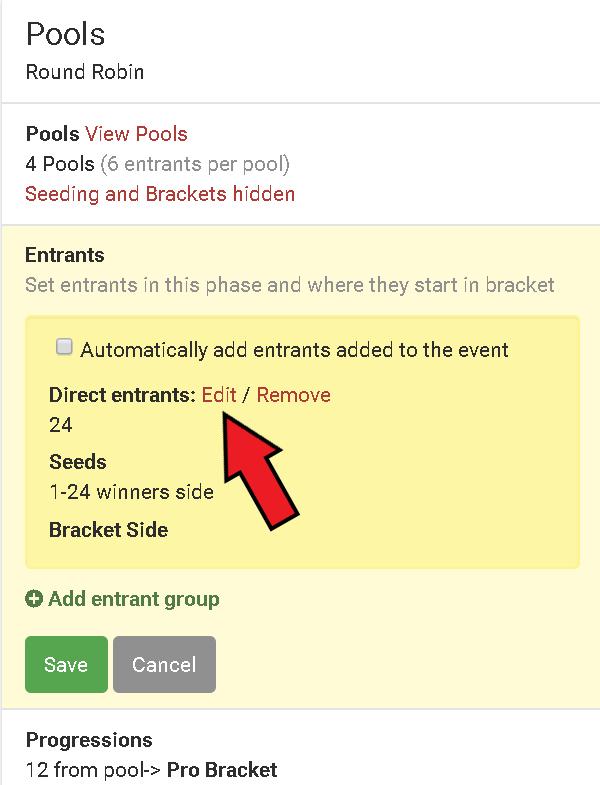 To add entrants directly to the second phase (if they were seeded out of the first phase, for example) click Add entrant group, and again select from the list. Choose to keep or avoid previous matchups. Keeping previous matchups will continue the bracket from the previous phase, while avoiding previous matchups will reseed the bracket for this phase. Take a look at our bracket configuration examples for more help.